Why Do We Get Goose Bumps When We're Scared? : Shots - Health News Skunk Bear's shivery new video explores how and why our skin acts so weird when we watch a scary movie, get cold or listen to music. Watch a scary movie and your skin crawls. Goose bumps have become so associated with fear that the word is synonymous with thrills and chills. But what on earth does scary have do to with chicken-skin bumps? For a long time, it wasn't well understood. Physiologically, it's fairly simple. Adrenaline stimulates tiny muscles to pull on the roots of our hairs, making them stand out from our skin. That distorts the skin, causing bumps to form. Call it horripilation, and you'll be right — bristling from cold or fear. Charles Darwin once investigated goose bumps by scaring zoo animals with a stuffed snake. He argued for the now accepted theory that goose bumps are a vestige of humanity's ancient past. Our ancestors were hairy. Goose bumps would have fluffed up their hair. When they were scared, that would have made them look bigger — and more intimidating to attackers. When they were cold, that would have trapped an insulating layer of air to keep them warm. 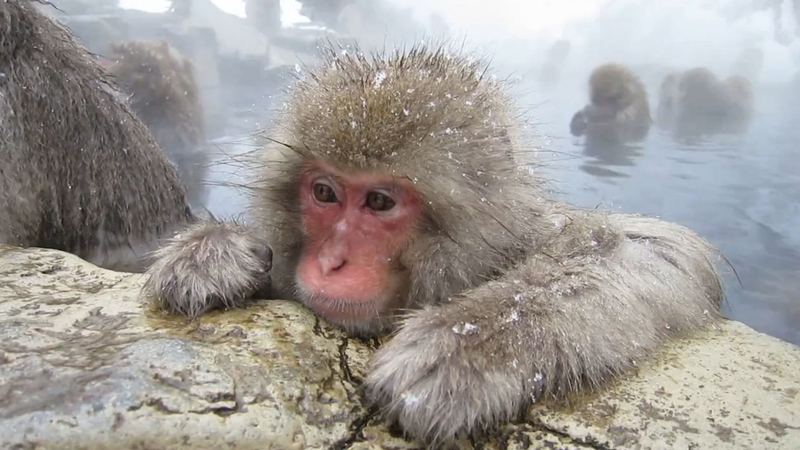 When snow monkeys get cold, their goose bumps fluff up their hair, trapping an insulating layer of air. We modern humans still get goose bumps when we're scared or cold, even though we've lost the advantage of looking scarier or staying warmer ourselves. And researchers have found that listening to classical music (or Phil Collins), seeing pictures of children or drinking a sour drink can also inspire goose bumps. There's clearly a link with emotion and reward, too. Dive deeper into the science of goose bumps in Skunk Bear's latest hair-raising video. Check out more Skunk Bear videos on YouTube, and the Skunk Bear blog on Tumblr. Follow on twitter @nprskunkbear.